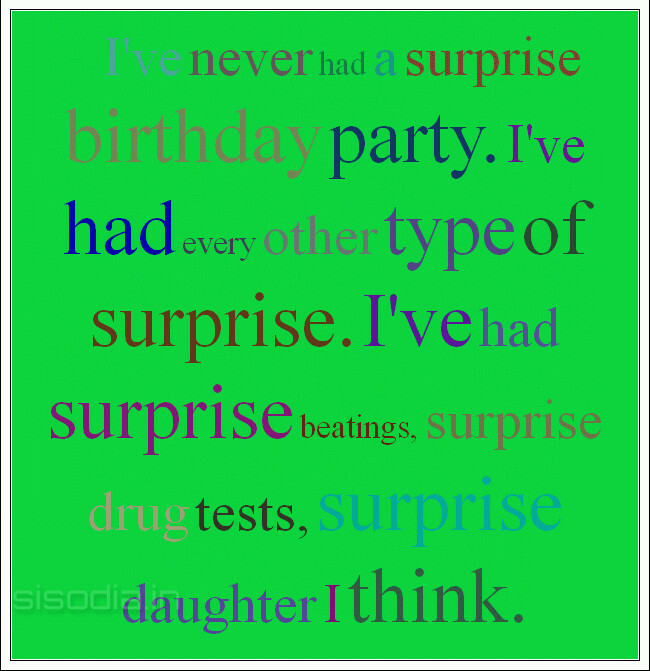 Quotes Find: I've never had a surprise birthday party. I've had every other type of surprise. 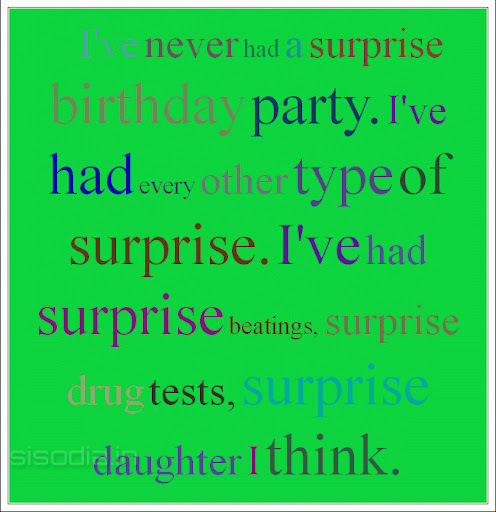 I've had surprise beatings, surprise drug tests, surprise daughter I think.